The Oxford Centre for Animal Ethics has selected multi Emmy award winning television personality, philanthropist, and educational pioneer, Bob Barker, as its sixth Honorary Fellow. The award is given to outstanding individuals who have made exceptional contributions to the protection of animals. Barker has pioneered the teaching of animal law in the United States by generously endowing America’s top law schools including Harvard, Stanford, UCLA, Northwestern, Duke, Georgetown, Virginia and Columbia. He endowed a chair in animal rights at Drury University (his own alma mater) in 2008. These endowments have enabled for the first time hundreds of university students to study animal law and ethics. “We cannot change the world for animals without also changing people’s ideas about animals. Almost single-handedly Bob’s sagacity and generosity have – in little more than a decade – propelled animals from being a marginal issue into the academic mainstream. This is a colossal achievement”, said Professor Linzey. 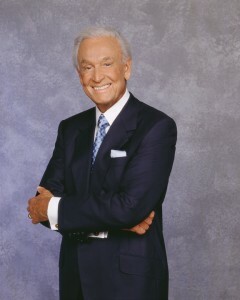 Barker is best known for hosting CBS’s The Price is Right from 1972 to 2007, and used his success as a platform to improve the lives of countless animals by ending each programme with the phrase “Help control the pet population. Have your pets spayed or neutered.” Bob Barker retired from The Price is Right in June, 2007, after 35 years as the game show’s host. The series was one of the highest rated daytime shows in the US during this entire period and the longest running game show in television history. His retirement marked the 51st anniversary of his debut on national television. Every year the Centre invites one or more notable individuals to become Honorary Fellows. Barker joins a prestigious line up of current Honorary Fellows including the Nobel Laureate for Literature, Professor J. M. Coetzee, the distinguished international philanthropist, Dr Irene W. Crowe, the Vice-Chancellor of the University of Winchester, Professor Joy Carter, Madame Jeanne Marchig, founder of the Marchig Trust for Animal Welfare, and Professor Justus George Lawler, theologian and scholar.